Take your workout to a whole new level! Are you ready to take your training to the next level with the most extreme, intense energizing fat shredder you've ever felt? Your pre-workout should work for you, and this energizing matrix does just that. By combining safe and effective ingredients, we have created a delicious formula that will give you your desired shredded physique. 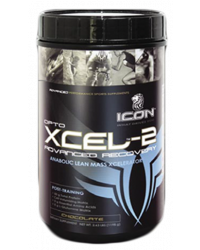 Icon Shreds is an advanced fat-shredder and performance fuel. It's intense energy will allow you to have better, longer workouts. 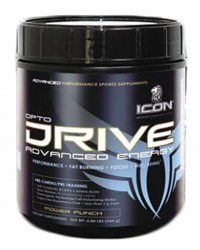 This powerful rush does not depend on caffeine, but the is the result of carefully designed fat-burning and anti-catabolic formulas. Focus, strength and power are only one scoop away! Raspberry Ketones, CLA, Green Coffee Bean, Green Tea, Guarana, Citrus Aruntum, Guggul, Evodia Rutae Carpa, Forskolin, Sesamin, Caffeiene, Cayenne Pepper: These powerful ingredients are combined to get your mind and body ready to focus. Combining these amino acids with D-AA supports metabolism as well as testoerone levels. HMB reduces muscle protein breakdown.